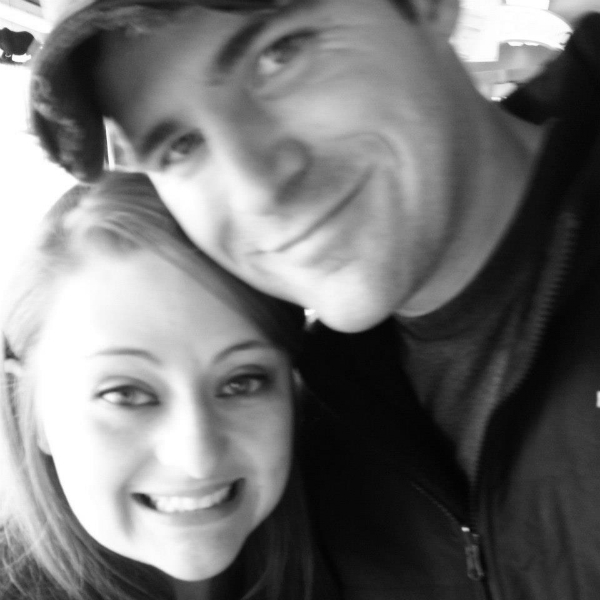 Brett and I met in the summer of 2005 when we both worked at Big Cedar Lodge. Unbeknownst to us, we had a mutual friend who had a penchant for match-making. After our matchmaker friend offered to set us up and I asked her not to, she passed along my phone number anyway. Brett called and we went on our first date the next day. My mother, who waited up for me to see how the …date went, says I didn’t stop smiling for days. She says if you’d asked her, she would have told you then that I would marry him. For four years, we did long-distance. We finished degrees at colleges that were hours apart and took jobs that parted us further. All of these years, we treasured breaks from school or work that allowed for extra time together. We made phone calls several times a day, sent care packages and cards, drove the distance every chance we got, and missed each other. For 2 years after that, we lived in the same city for the first time in our relationship and learned what each other’s daily routine was like (one night owl, one early bird), how we ordered our burgers at lunch (no tomato, no mayo, one well, one medium-well), and how nice it was to live in two different apartments instead of two different states (a much easier commute). After six and a half years of dating, several long-distant phone calls that ended in tears and “I miss you”, and Brett having survived Thanksgiving with my loud, Irish-Catholic family, October of 2011 found Brett and me on a walk at sunset. After receiving a present intended to distract me, I opened it and told Brett, “I figured it was either this or an engagement ring.” As I continued to walk and look at my gift, I realized that Brett wasn’t with me. I turned back to find him on one knee, asking me to marry him. I never understood why people got married until I met Brett- I wasn’t sure that kind of love or those kinds of relationships really existed. Now I understand. Now I know they do. After nearly eight years of knowing him, he is my best friend and my love; he humbles and strengthens me. And every day, I can’t believe he picked me.